Preheat oven to 180°C (350°F). Place the apple and honey in a medium bowl and toss to combine. Divide the apple mixture between 4 x 1-cup-capacity (250ml) ovenproof ramekins and place on a baking tray. Place the biscuits in a food processor and process until coarsely chopped. Add the flour and pecans and pulse until the pecans are chopped. Transfer to a medium bowl, add the butter and mix to combine. 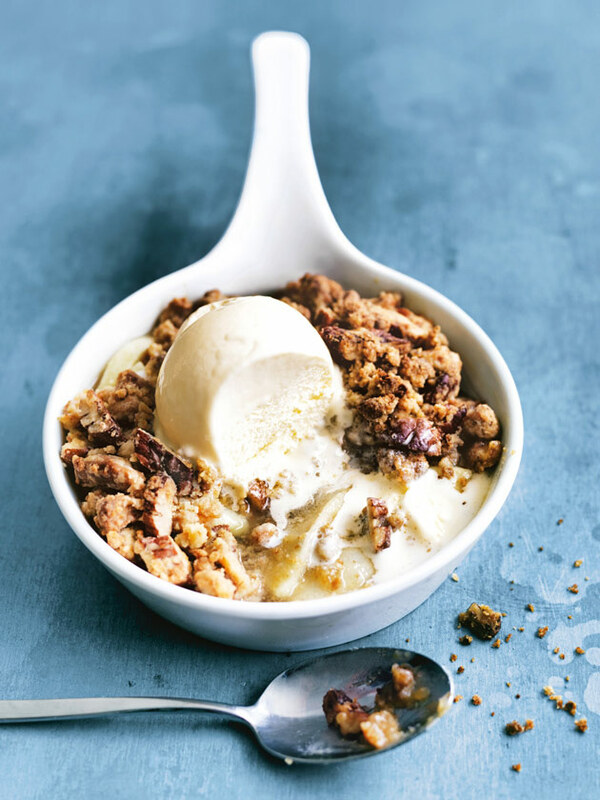 Spoon the crumble over the apple mixture and bake for 15–20 minutes or until the apple is bubbling. Top with vanilla ice-cream to serve. Makes 4. This was super easy and delicious! A must make!